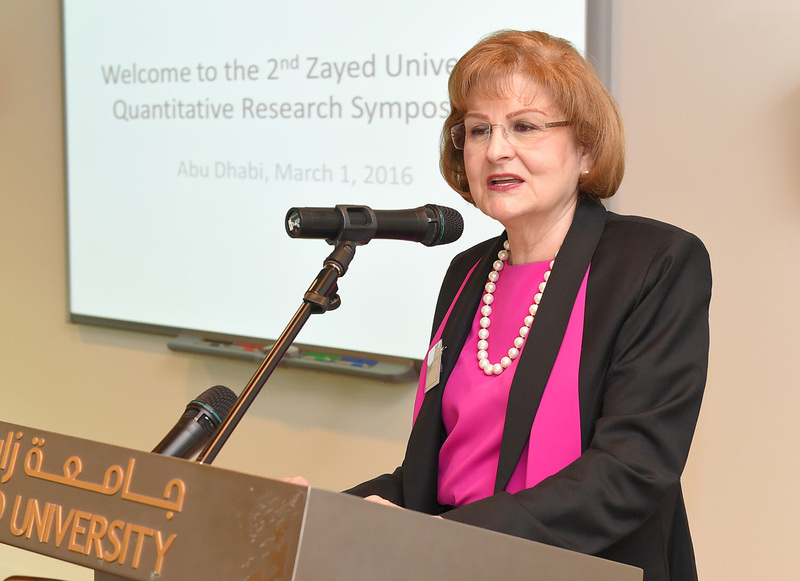 The second annual UAE Quantitative Research Symposium was inaugurated on Tuesday at Zayed University’s Abu Dhabi campus under the patronage and in the presence of ZU alumna, Sheikha Shamma Bint Sultan Bin Khalifa Al Nahyan. 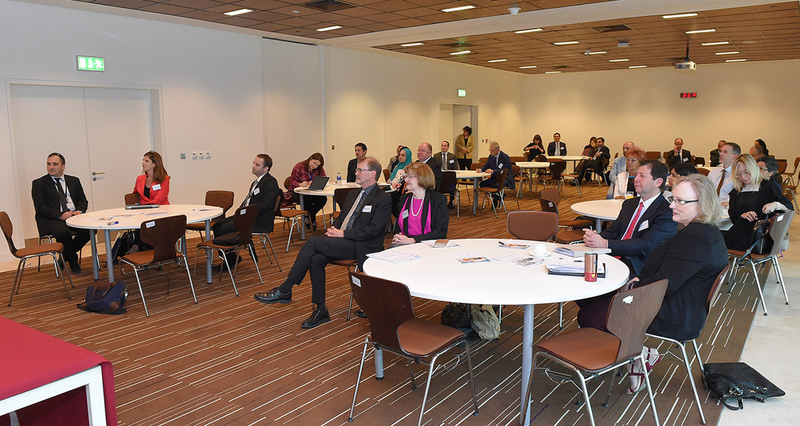 The annual Quantitative Research Symposium brought together UAE-based researches with their international counterparts to promote world-class quantitative research and develop a research culture of excellence. “Therefore, I encourage all students to explore the world of research, as it can magnificently and positively impact the country’s sustainable economic growth. Collaboration and partnership approaches are also a great mechanism to develop and improve future research,” Sheikha Shamma added. Dr. Fauzia Jabeen, Assistant Professor at Abu Dhabi University, discussed her research paper titled “Factors Affecting the Success and Financial Resource Acquisition Perspective of Emirati Women Entrepreneurs: Evidence from the UAE” with the hope of helping policy makers in identifying the specific entrepreneurial factors, which will lead to formulating effective and practical policy interventions in the area of financial resource acquisition and skill building of female entrepreneurs. “The purpose of this research is to identify the business success and financial resource acquisition factors, developmental issues, and the problem areas allied to Emirati female entrepreneurs in the UAE. A survey questionnaire method was used to collect data from 224 Emirati female entrepreneurs with the support of Abu Dhabi Business Women Council,” Dr. Fauzia, who holds a Ph.D. in Management and has notable academic and industrial experience of UAE, said. A factor analysis was also conducted to understand the sources of advice sought to start the business, factors affecting success of the business, country specific conditions that affected business operations, and the problems Emirati women entrepreneurs faced in being self-employed. “The research paper revealed various important findings related to the major problem that Emirati women entrepreneurs faced in being self-employed, for instance, efforts to manage too much work, responsibility, and little time for family. Also, it was found that Emirati women entrepreneurs consider infrastructure factors such as location, parking, awareness of procedural changes, and lack of clarity in policies as dominant UAE factors that affect their business operations in the UAE,” she emphasized. Furthermore, findings revealed that Emirati women entrepreneurs consider three main factors, which will affect the success of their businesses. “The management skills and customer support factors seem to dominate. Therefore, factor inputs such as personnel, capital, training, government, and reputation factors are important but they are balanced with management skills and customer support,” Dr. Fauzia pointed out. 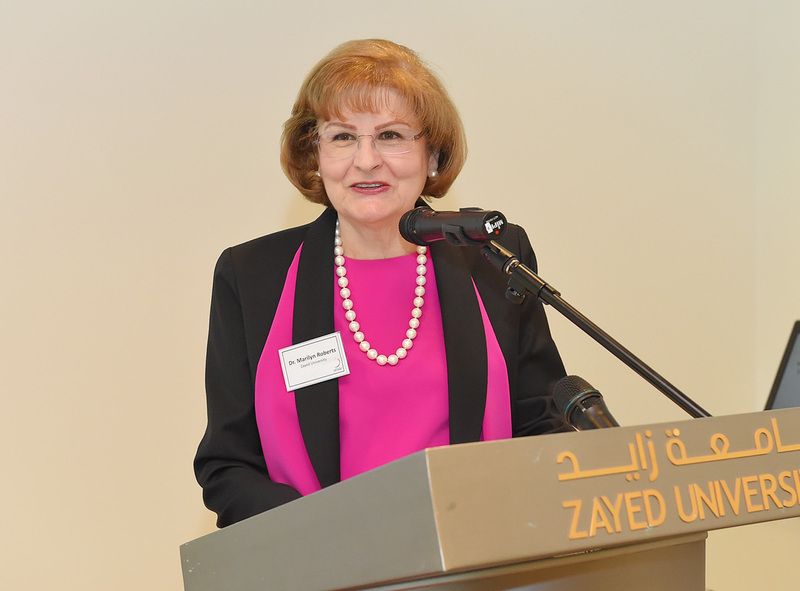 The one-day Symposium saw the presence of Dr. Marilyn Roberts, Acting Provost at Zayed University, who affirmed Zayed University’s commitment to develop the research capacity and quality of undergraduate and graduate students and to fund significant and distinguished researches in order to meet one of the highlights of the UAE Government strategy. With the concept of innovation within organizations being under much discussion, Constance Van Horne, Assistance Professor of Management and Internship Coordinator at Zayed University, and Taiba Hussain, Instructor at Zayed University, presented a research paper on “Determinants of Innovative Behavior”. “Research on the determinants of innovative behavior has a long history in literature. In the UAE, there have been much fewer studies and none using robust quantitative methods. This research presents data collected in the UAE during 2015, which was named and declared the “Year of Innovation” by President His Highness Sheikha Khalifa Bin Zayed Al Nahyan,” Constance said. “A total of 170 usable surveys were collected from national and expatriate employees of public and private organizations. Statistically significant results indicate that tolerance for diversity and continuous development have a strong positive impact on self-reported innovative behavior,” she added. Constance pointed out that this is first of its kind study of the UAE, which indicates that reward, resources, and culture play an important role in innovative behavior on the part of employees working in the UAE. Findings that are discussed in exceptional and high-quality research papers presented during the conference will be incorporated into classroom instruction so that Zayed University students are aware of leading edge research in business sciences. 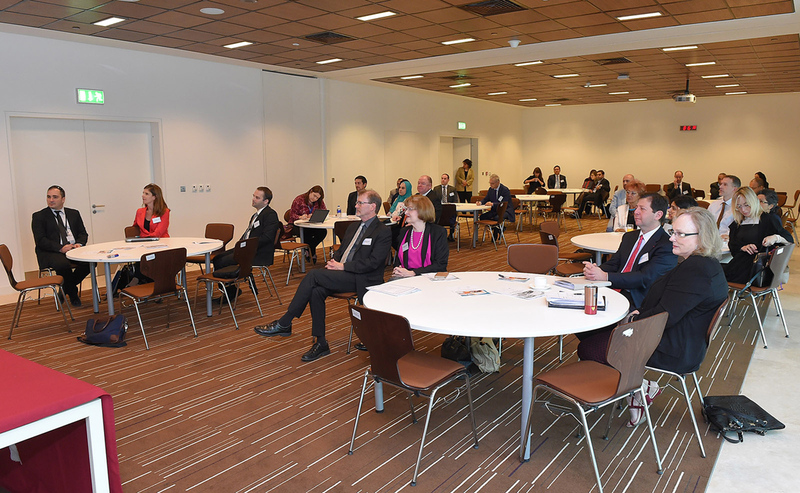 The one-day conference saw the participation of several universities within the UAE such as, United Arab Emirates University (UAEU), New York University Abu Dhabi (NYU), American University of Sharjah (AUS), American University of Dubai (AUD), Sharjah University, Wollongong University in Dubai, and INSEAD and outside the UAE from France, Italy, Spain, Germany and Oman.